Atlanta rockers Mastodon have announced dates for a spring tour of North America with Eagles Of Death Metal and Russian Circles. Set to begin in Missoula, MT on April 14, the 6-week run will be in support of Mastodon’s as-yet-untitled, upcoming seventh album. Recorded with producer Brendan O’Brien, the project marks the follow-up to 2014's "Once More 'Round The Sun." "We couldn't be more excited to pour majestic rock sauce all over your town," says the group about the tour. "Come on down and help us celebrate the season of new beginnings where fresh buds bloom, animals awaken, the earth comes to life and there's a new Mastodon album to melt your face off!" A number of presales start January 11 with general public tickets on sale January 13 at 10 a.m. local time, except Nashville, TN (Noon local time). 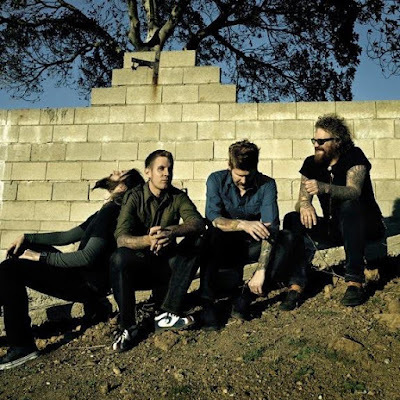 Every pair of tickets purchased online for Mastodon (excluding festival dates and the May 6 Philadelphia date) includes your choice of a physical or digital copy of their new, soon-to-be released album. Ticket purchasers will receive instructions via e-mail on how to redeem the album once it is released (date yet to be confirmed).